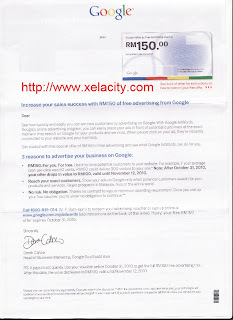 I had received Google AdWords Advertising Voucher which worth RM 150.00 today by mail. Under this offer, Google requires you to open an Adwords account and you may choose to select either ‘Pre-Paid’ account or ‘Post-Paid’ account. Besides, you will need to pay RM20.00 account activation fee regardless which account are u selected. Additionally, if you selected to open a ‘Pre-Paid’ account, you will need to top up RM30.00. So, it is like you need to pay RM20-RM50 in order to redeem this RM150 Google AdWords Advertising Voucher. 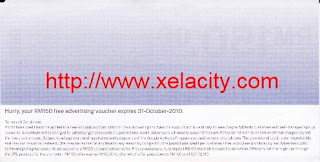 The offer is last for about 2 weeks time and will be ended on coming 31 October 2010. 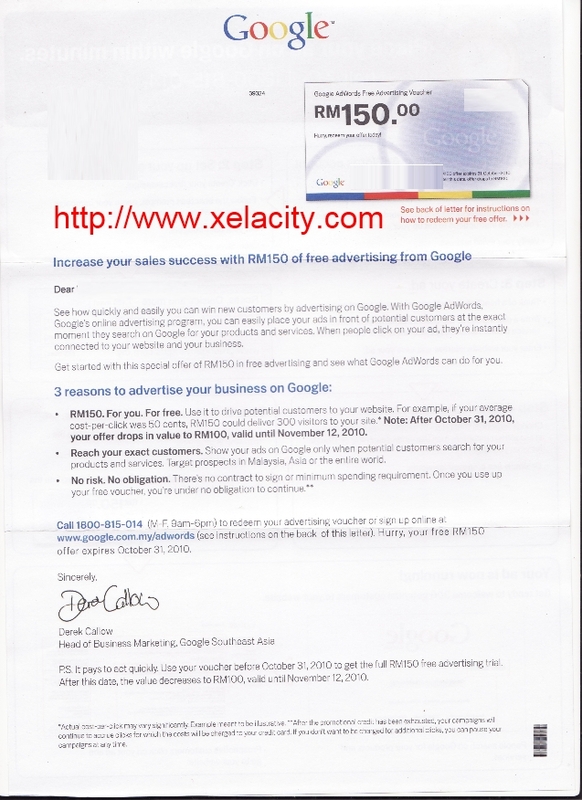 Yet, I had made my move to redeem my Google AdWords Advertising Voucher as well. 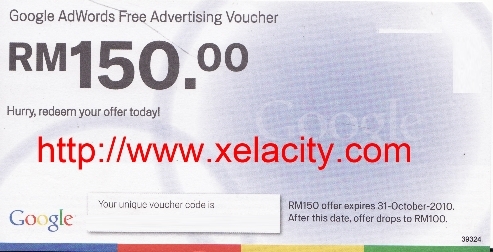 -  RM150 For Free under this offer. 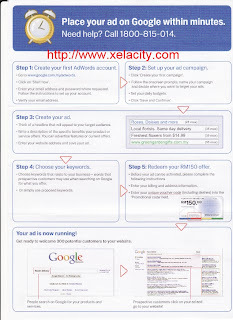 -  Reach Your Exact Customers. You can customizes your prospects viewers locationally. -  No Risk. No Obligation. No Contact to sign. No minimum spending requirement. 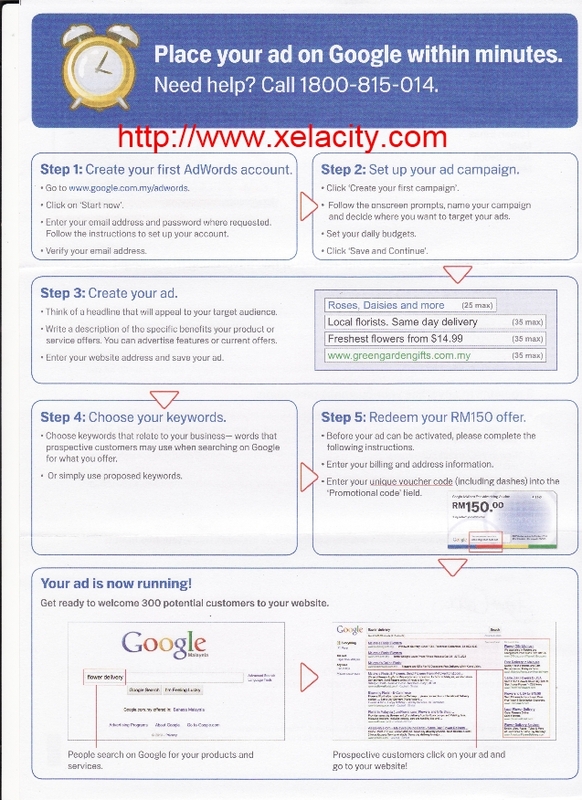 5 Simple Steps Instruction for AdWords account creation, account activation, Balances Top-Up, Advertisement Creation, and How to redeem RM150 Google AdWords Advertising Voucher.